The Witcher 3 will receive a limited collector's edition including a hand-crafted statue and hardcover art book. CD Projekt RED held its Summer Conference live stream today, during which it revealed that The Witcher 3 will be hitting stores stores on February 24th, 2015. Its release will be simultaneous on PC, PS4 and Xbox One. All three versions of the game will likewise contain identical content with none receiving special treatment. In addition to its release date, CPR also unveiled the contents of the game's standard, collector's and digital editions. The standard retail release will include the game, its manual, a companion book containing story and universe details, a game world map, the game's soundtrack and some stickers. The collector's edition will have all of these as well as a hand-painted statue featuring the game's protagonist Geralt, a hardcover art book, a wolf medallion and a steel game case. The contents of the digital edition meanwhile will vary depending on where gamers buy them. The base digital game will include a digital art book, a collection of pre-release videos and a digital map. Players who purchase the game at GOG however will be privy to exclusive content including an extended soundtrack, a code for a digital collection of Dark Horse's The Witcher comic book, custom wallpapers and a free copy of the RPG classic Neverwinter Nights along with three expansion packs. It was also revealed that gamers buying The Witcher 3 at GOG (owned by CD Projekt RED) will also receive a "loyalty discount" if they can provide proof that they already own The Witcher 1 and 2. This discount will knock as much as 20 percent off the new game's price tag. GOG will also be offering a "fair price package" to customers outside of North America who are often subject to higher retail prices than their American counterparts. The retailer intends to compensate these gamers with codes for more free GOG games. 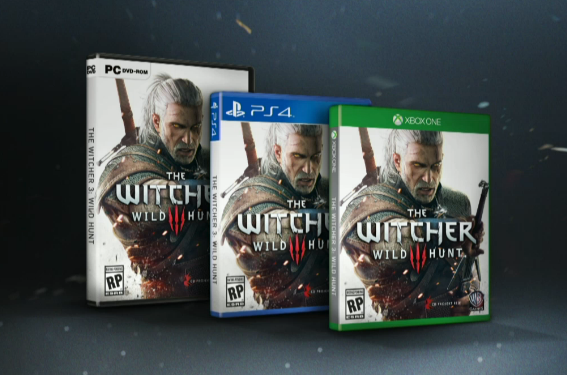 Pre-orders of The Witcher 3 at GOG are, in turn, up and running.